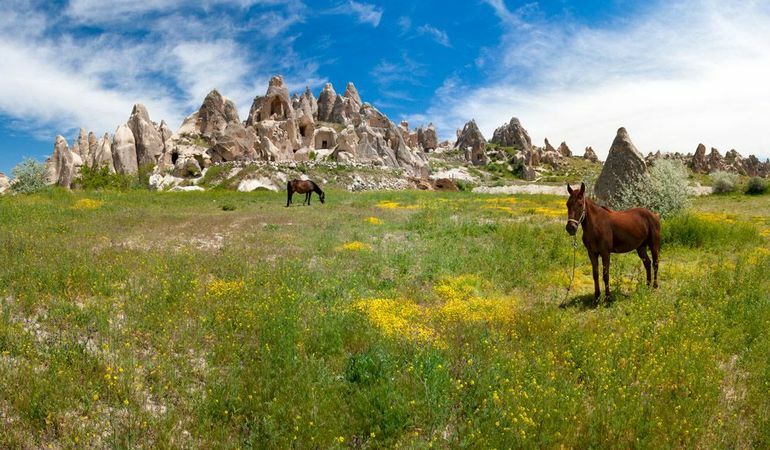 According to many, Cappadocia’s name comes from a Persian word “Katpatukya”, which means “the land of beautiful horses” in Persian. 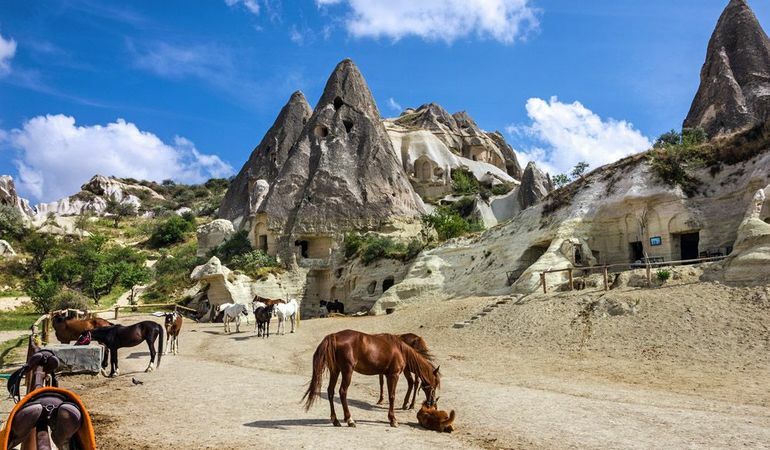 We do not exactly know the philological roots of the word "Cappadocia", but we know the horses of Cappadocia are really beautiful and, when it combines with Cappadocia’s amazing sunset it becomes an unforgettable Cappadocia experience. Without doubt, Cappadocia is one of the most characteristic regions in the world due to its geography featuring rock-cut settlements, fairy chimneys, and colorful valleys. This characteristics of Cappadocia make sunsets in the region very special. 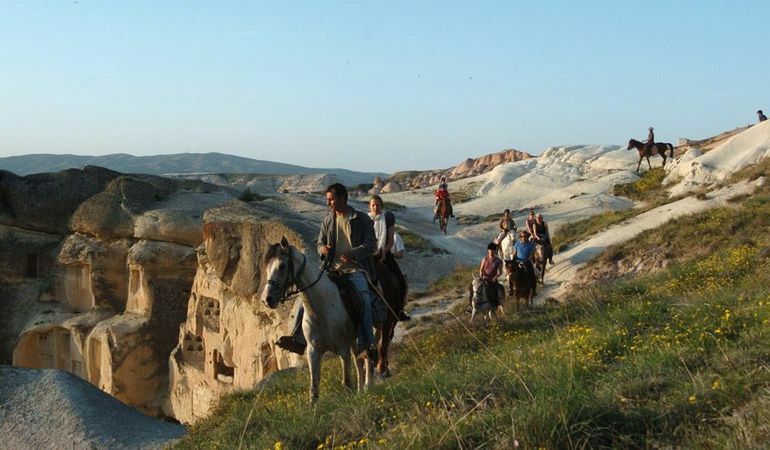 If you are willing a relaxing horseback ride to the gardens and vineyards above the Avanos village during an amazing sunset in Cappadocia, Istanbul Tour Studio’s Cappadocia Horseback Ride fits perfectly for you. 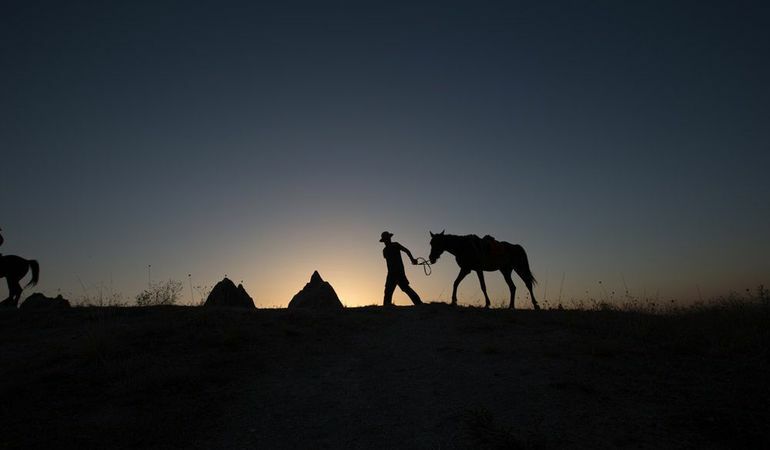 Pick-up from hotel: The shuttle picks you up from your hotel and drives to Avanos village, where you will experience Cappadocia Sunset Horseback Ride. 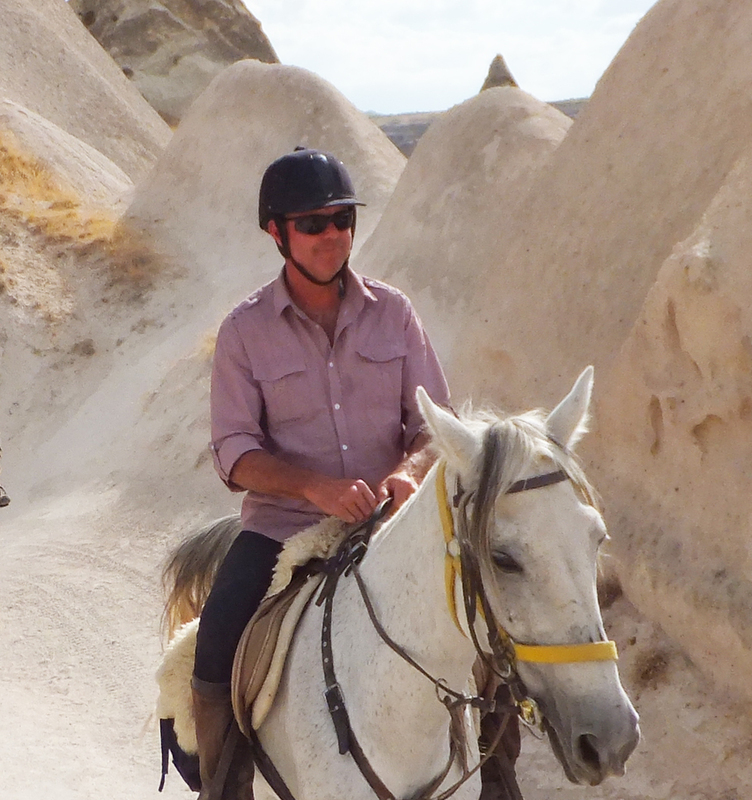 Horseback ride on the surreal landscapes of Cappadocia: Riding a horse on the surreal landscapes of Cappadocia during the sunset is a fabulous way to see this one-of-a-kind landscape. Safe and professional outdoor activities company: We have been working with a very professional outdoor activities company, operating in Cappadocia since 1985 and they are the pioneers of outdoor activities in the region. Anyone who likes outdoor activities, horses, and beautiful sunsets. People that want to make the most of their evenings and get the best views of Cappadocia. 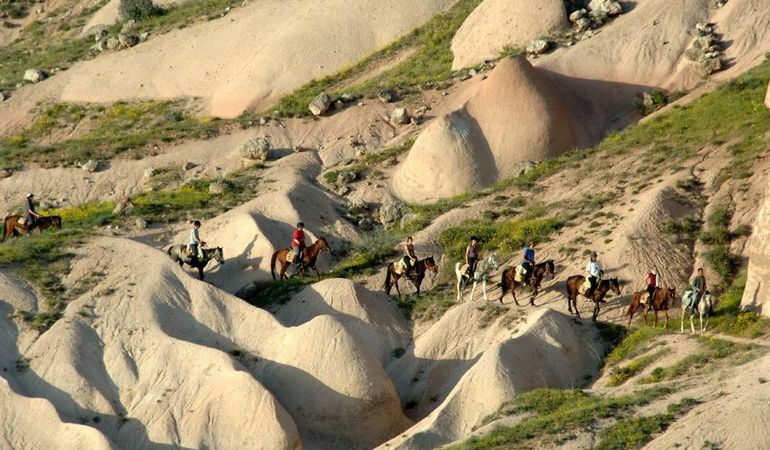 If you are willing a relaxing horseback ride in the magical landscape of Cappadocia, Istanbul Tour Studio’s Cappadocia Horseback Ride fits perfectly for you.